Palo Alto, CA: In the wake of new industry alliances that alter the competitive lineup of advanced CPUs, NeXT is re-evaluating its decision to base its next-generation systems on the Motorola 88110 processor, according to sources. NeXT had been expected to develop a new high-performance workstation for introduction in 1992 based on the 88000 chip family. The decision by Apple Computer to base its future systems on a new Motorola implementation of IBM's Power PC RISC technology has apparently caused NeXT to reconsider its own plans. "Motorola's big potential customer was Apple. If all their hardware people are concentrating on the [Power PC] chip, it seems unlikely that they will spend much effort on the 88K" said David Henkel-Wallace, a founder of Cygnus Support, a Palo Alto company that supports compilers and advanced system software on a wide variety of UNIX platforms. "Even though the 88K is a perfectly fine chip, the stigma of rejection is now associated with it," said Michael Slater, editor and publisher of Microprocessor Report, an industry newsletter. "It is not going to have a lot of support from major computer companies, and it is going to be a sort of an oddball architecture." Current customers for the 88000 family include Data General and Unisys. In June, Motorola announced that a special version of the chip will be used for microcontrollers in Ford Motor Company automobile engines. Following the Apple-IBM announcement in July, Murray Goldman, general manager of Motorola's Microprocessor and Memory Technologies Group, made a statement underscoring "Motorola's commitment to supporting the system vendors and their customers who have chosen the 88000 RISC MPU family." "Certainly, Motorola remains committed at least to the 88110," Slater said. "The whole thing is very much in flux, and everyone is trying to figure out what they are going to do." Despite the 88000 family's liabilities, NeXT would retain at least one distinct advantage by staying with that chip family. With the close working relationship between the two companies, Motorola can add special features to the line that will serve NeXT's needs better. For example, the 88110 chip has special instructions to ease graphics operations and improve the performance of Display PostScript. It is possible that special, undocumented instructions might be available in the version of the chip provided to NeXT Ð but not to other companies. While the 88110 would provide high performance, it may be limited in its range of available options. Although there are many versions of the SPARC and Intel 80386/80486 chips available, Motorola's 88100 comes in just four, with clock speeds of 16, 20, 25 and 33MHz, and initially the 88110 will be available at only one speed. Other CPU candidates for future NeXT systems include SPARC, Intel, and MIPS microprocessors. Any of these choices would permit NeXT to bring new systems to market in 1992. NeXT might also choose to wait for Motorola's 68050 chip, which would give the NeXTstation and NeXTcube improved performance without sacrificing object code compatibility with existing programs. However, Motorola is still not shipping the 25MHz version of the 68040 in quantity, and the 68050 chip is thought to be a long way off. 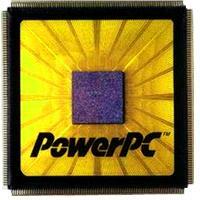 NeXT could also follow Apple and go with Motorola's Power PC. But that would entail an even longer wait. "The original 88K was about two years late. It should have been out in 1987, but wasn't available until 1989," said Michael Tiemann, Cygnus's president and author of the NeXT's C++ compiler. Tiemann expects that Motorola will have similar problems getting the Power PC chip out the door. NeXT declined to comment on future systems.